3) My online genealogy networks (eg Twitter). Yes, this takes away a lot of research time, but it leads to much better research. 1) That they'd been turned in by their only-slightly-older sister Amelia*. Amelia had escaped the family dysfunction by marrying at 14. She gave birth to her first child just before her 16th birthday, took on the care of her three younger siblings who had been abandoned by their mother Ellen, and then had her first child die. I can well understand it got a bit much. 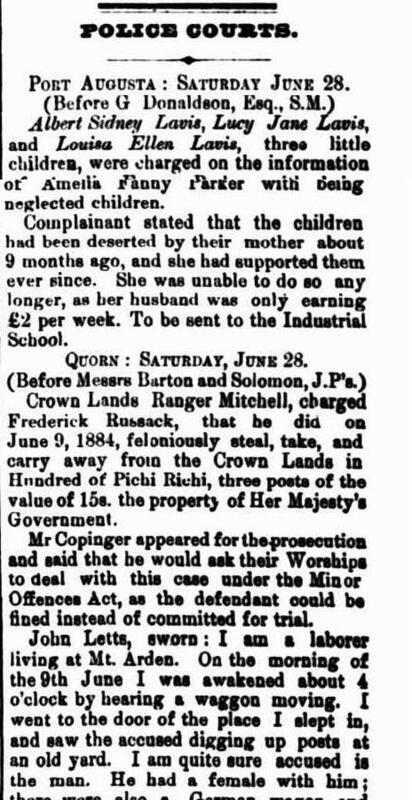 2) That the children were fostered out to their childless aunt, Asenath Bacon. 3) That a few years later they had been removed from Asenath and sent to Solomon Wiseman. 4) That State Records' copying service is really, really cheap. The records referred to item #3 as being referenced in a set of Minutes, the problem being the Minutes are part of a government record series which is sealed as it contains details of adoptions which took place less than 100 years ago. The lovely people from State Records helped me get all the information I needed to lodge a Freedom of Information request for the minutes. They tell me that, given the age of the records I'm after, I'll certainly be granted permission to access that section of the record series, and while there's no telling what I'll find, it's probably the only possibility of a definitive answer to the Family History Mystery of how the children of Walter Lavis (impoverished bigamist at large and former inmate of Adelaide Gaol) ended up inheriting thousands of pounds from Solomon Wiseman when there was no apparent connection between the families at all. I emailed my relatives on that side of the family to update them with my findings. 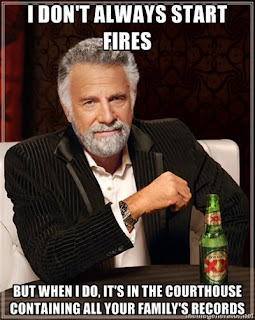 All of us have been working on cracking this one for years. We have notes from 30 odd years ago where family are pondering over theories on what happened. One of my relatives said she also had an update for me, and let me know that Ellen had remarried (possibly bigamously) to James Pitt in Jamestown in 1884. However, and more interestingly, in between her second and third marriages she had a child named Edith May Norbury. Poor Edith was not blessed with long life, and passed away in Yancowinna Station, Silverton, in 1885. 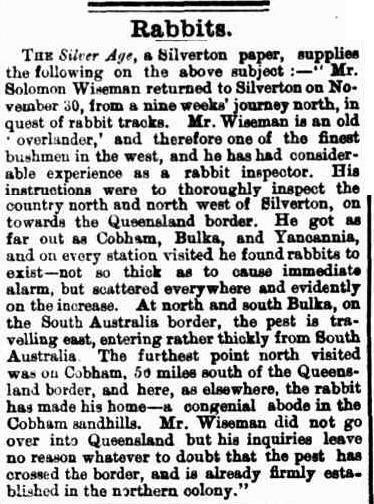 A little google of my DLF Solomon Wiseman once lead me to the piece of information that, before becoming a grazier and even before becoming one of the original BHP share-holders he was, of all the unexpected things, a rabbit inspector. 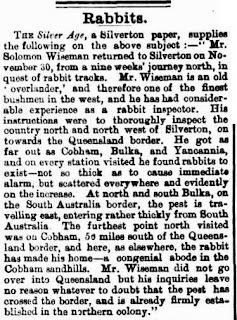 In 1885, Solomon Wiseman was in Silverton on at least two occasions. 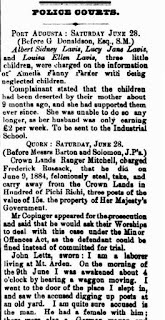 Now, I know that's not evidence of anything, but by working with some of the fantastic networks out there I have placed Ellen Pitt nee Clifford nee Lavis nee Maynard and Solomon Wiseman in the same town in the same year, not two years before her children were moved to his care. 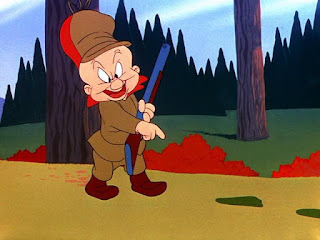 Coinkydink? Possibly not! At the time the population of Silverton was at its peak, roughly 3000, which is still quite small enough for them to have met, especially since Ellen was at a Station and Wiseman is described as visiting Stations. Now to wait for the results of the FOI request! Hopefully they add more detail than Nellie Smith's death certificate which turned out to be a dead-end of 'unknowns'. Watch this space!! *Amelia went on to ditch her own family of 8. She fled to WA, had another 7 to someone else, and lived to the grand old age of 94. Hanging out for the next instalment.